100 miniature paintings by Tim Biskup. Out of print. 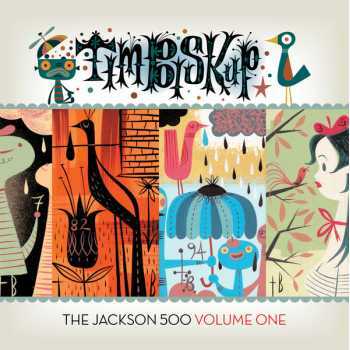 The Jackson 500 paintings are spontaneous compositions that contain the buds of many of Biskup's recurring characters, themes, and color theories. This volume contains the first one hundred in the series of five hundred business card-sized paintings, reproduced at actual size. A fine document of process and inspiration!